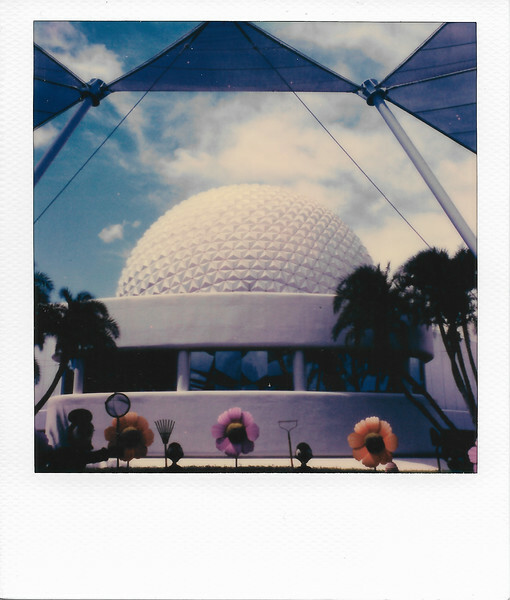 May 18, 2018 - Polaroid Originals 600 Film with ND filter. The only blue sky photo of the day. From the back of Spaceship Earth with the shade sails framing it.